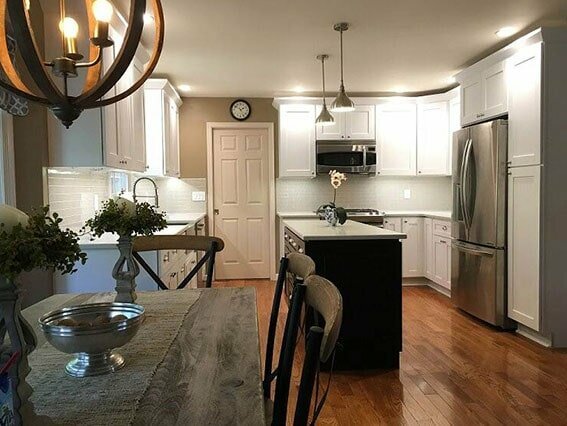 Home is where you make memories, entertain others and relax. 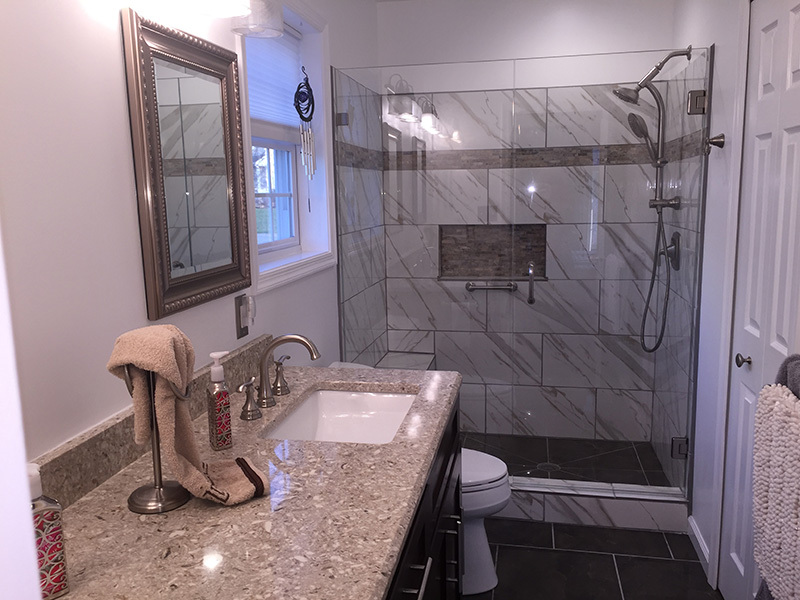 A bath & kitchen upgrade or remodel can create space that will add functionality and beauty to your house. 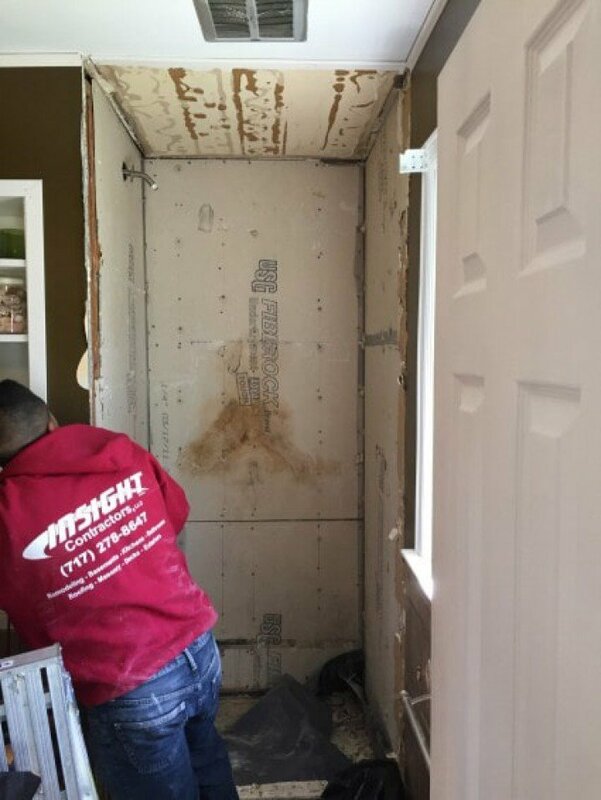 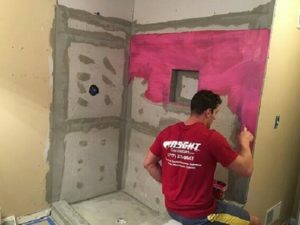 Insight Contractors aims to enhance the quality of your life by working with you to create a kitchen or bathroom that meets your unique wants and needs. 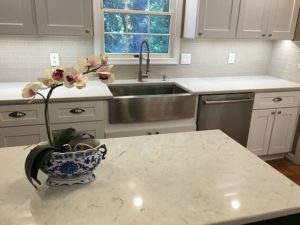 No matter what vision you have for your home remodel, we will work diligently to ensure the design is yours and that the end result meets your expectations. 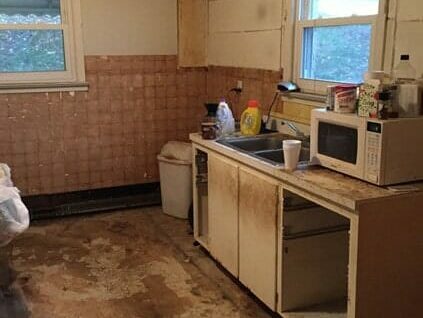 This kitchen was dim and outdated when we came to look at the Job. 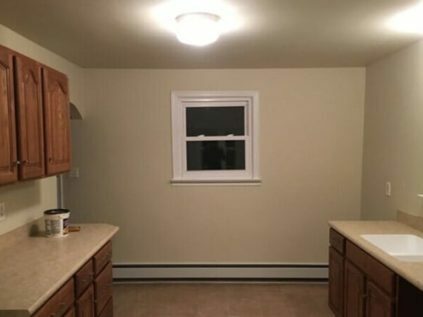 The customer had a particular taste in what they wanted their new kitchen to look like. 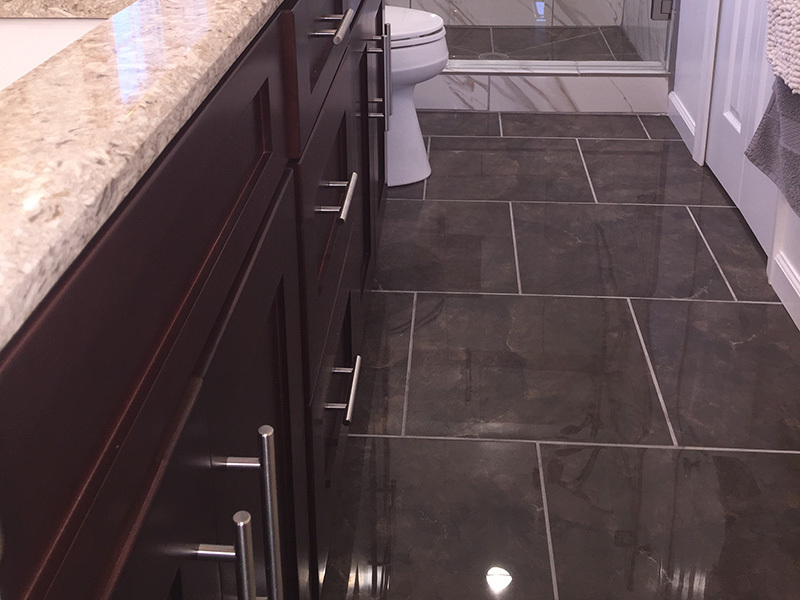 We worked with them to achieve and exceed their expectations. 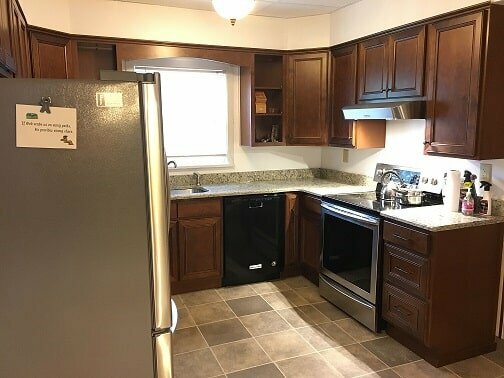 They now have a bright and welcoming kitchen that is always gonna be a great place to gather and make memories! 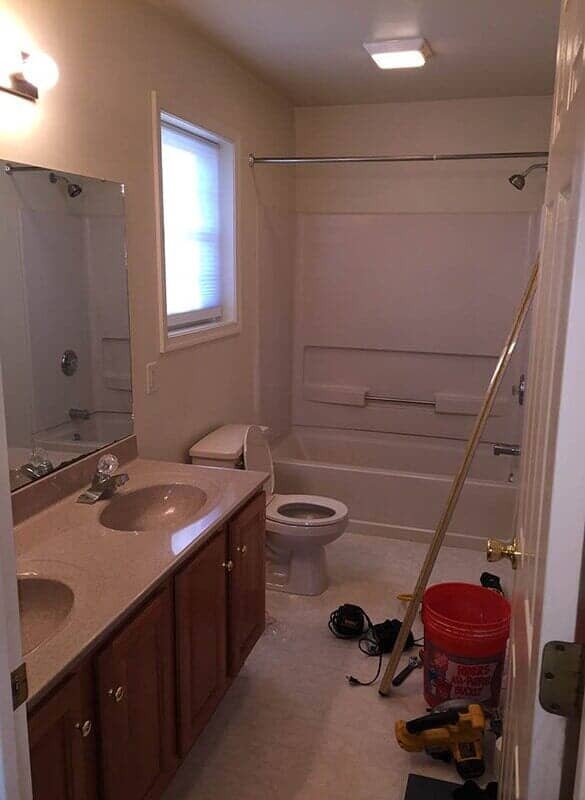 Upon walking into this previously poorly designed bathroom, we knew there was tons of room for improvement. 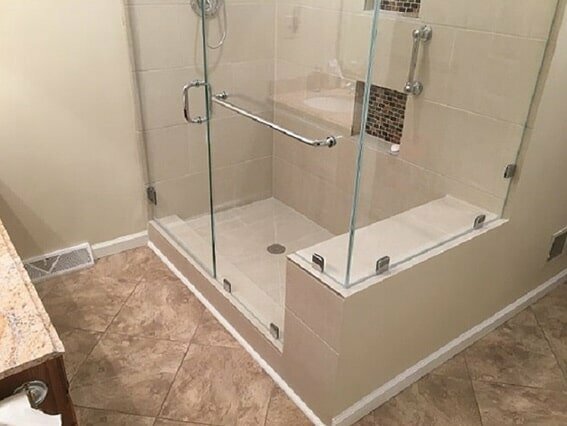 There was a closet blocking the shower area and that was the first thing to go. 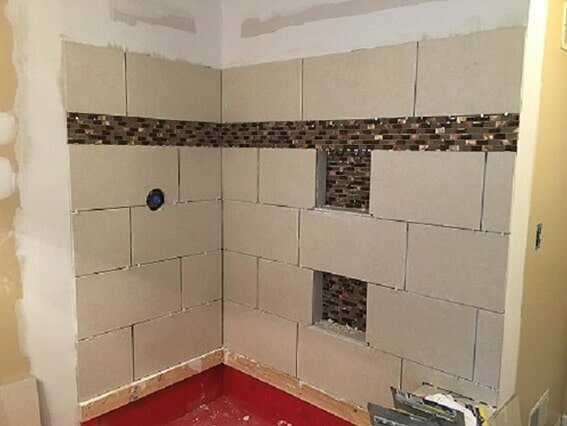 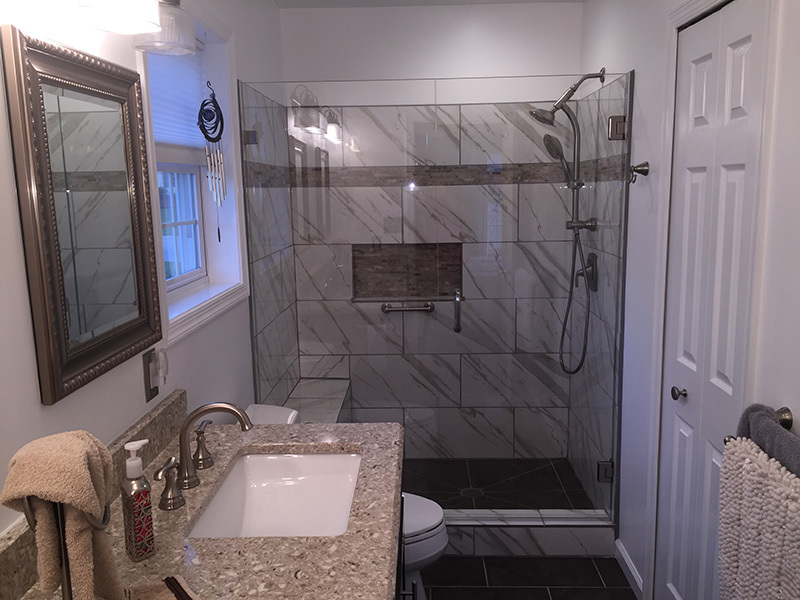 The existing poor quality steam shower was removed and a large walk-in tile shower was installed. 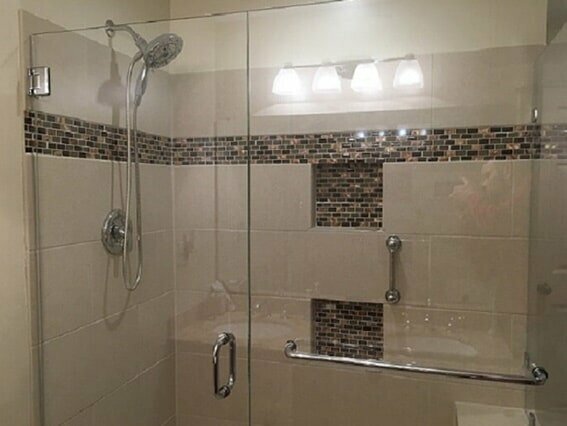 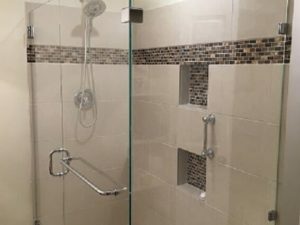 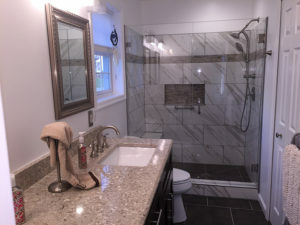 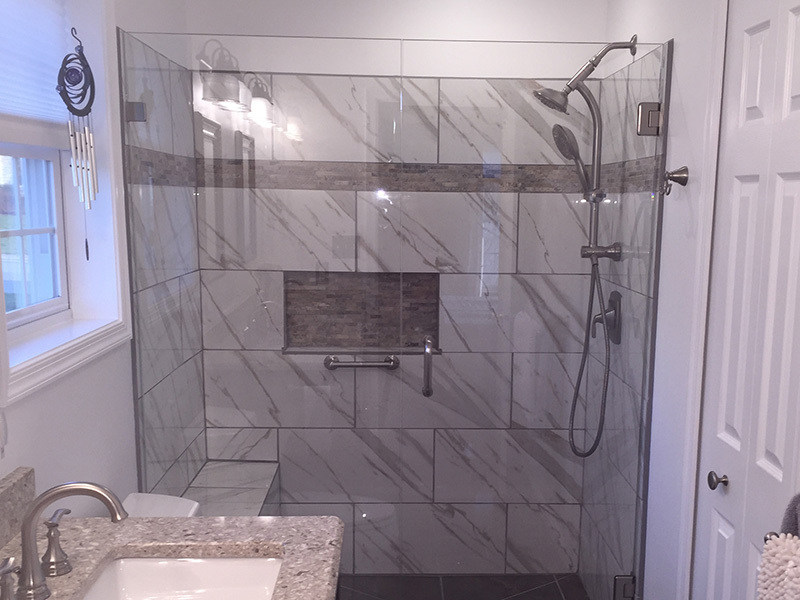 The shower was finished off with custom glass and some nice lighting and new exhaust fan to turn this bathroom into a much more functional and spacious room. 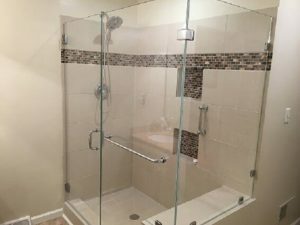 The customer for this job knew exactly what they wanted and we met and exceeded their expectations. They chose a walk in tile shower with a seat and custom glass entry. 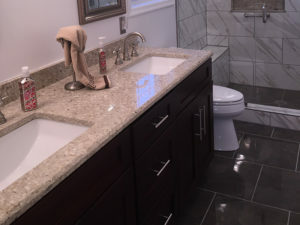 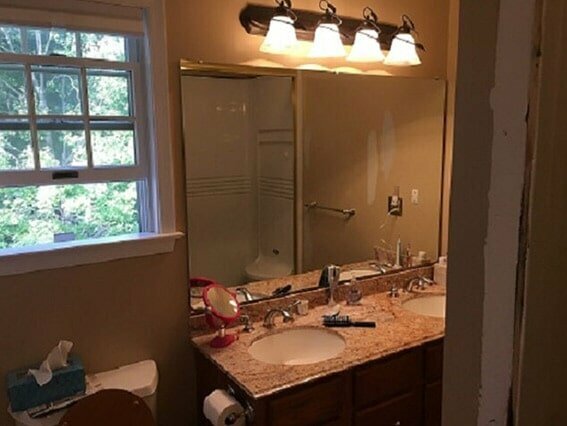 A double bowl quartz countertop with vanity, new tile floor, built in medicine cabinets and a bunch of new lighting then completed this beautiful bathroom. 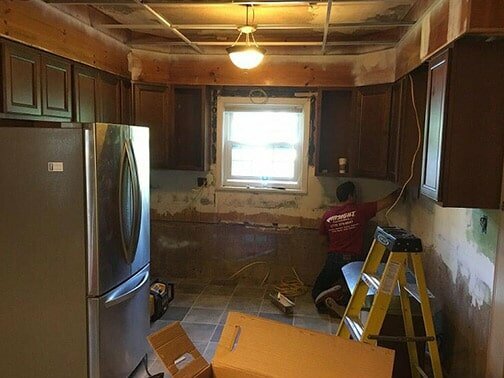 We love these jobs and our work shows it. 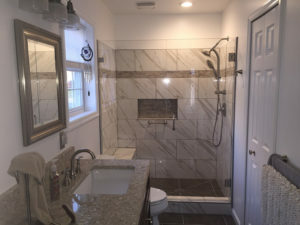 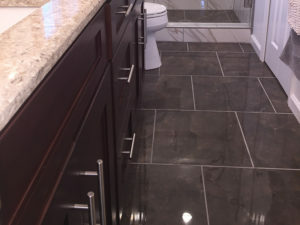 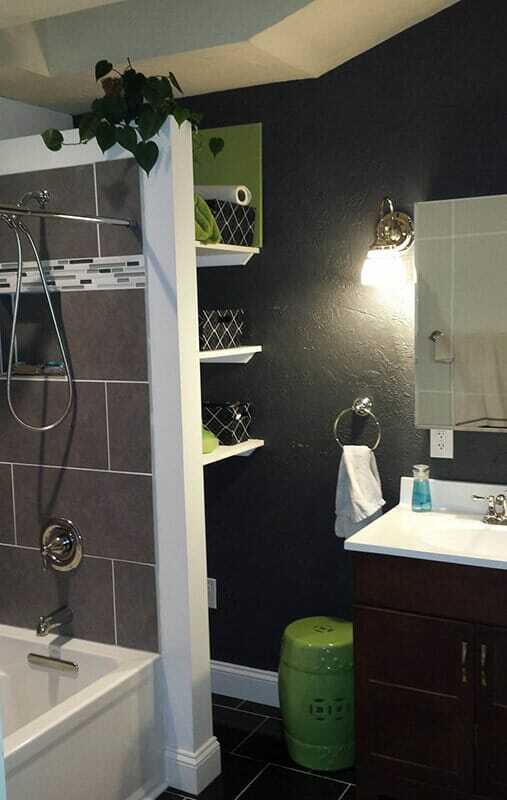 This is a complete bathroom remodel job where we re-arranged the design. 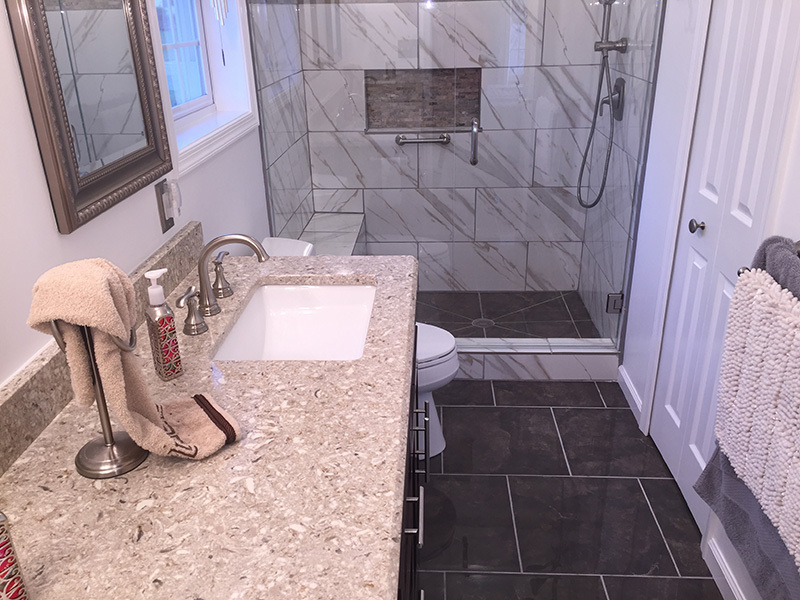 We removed the whirlpool tub and installed a fiberglass tub with tile surround. 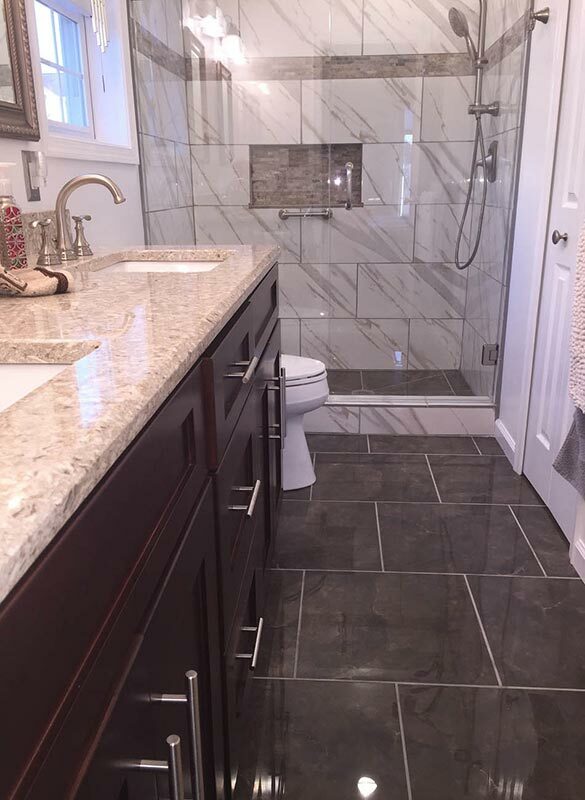 There was shelving added, a built in medicine cabinet, new fixtures, tile floor and additional lighting to give this bathroom the attention deserved! This was a simple removal of an existing shower that was not installed properly and we replaced it with a very nice gel coated fiberglass stand-up shower with LED light. 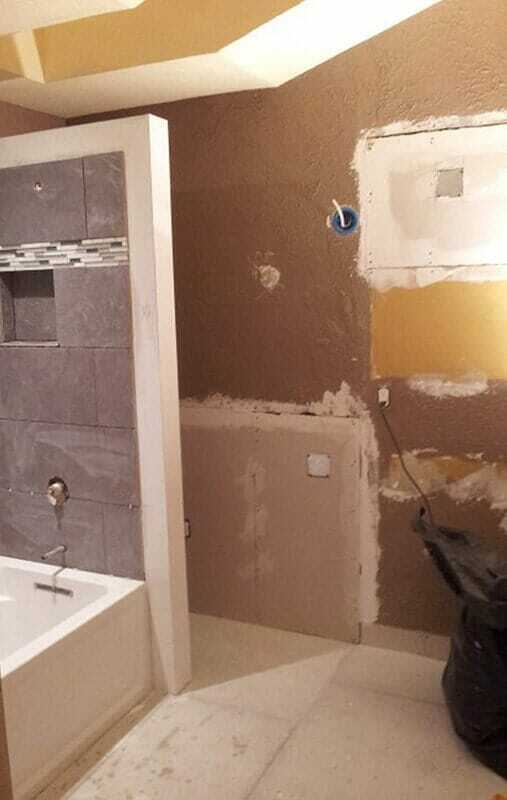 This is the second bathroom in the home we installed the gel coated fiberglass shower. 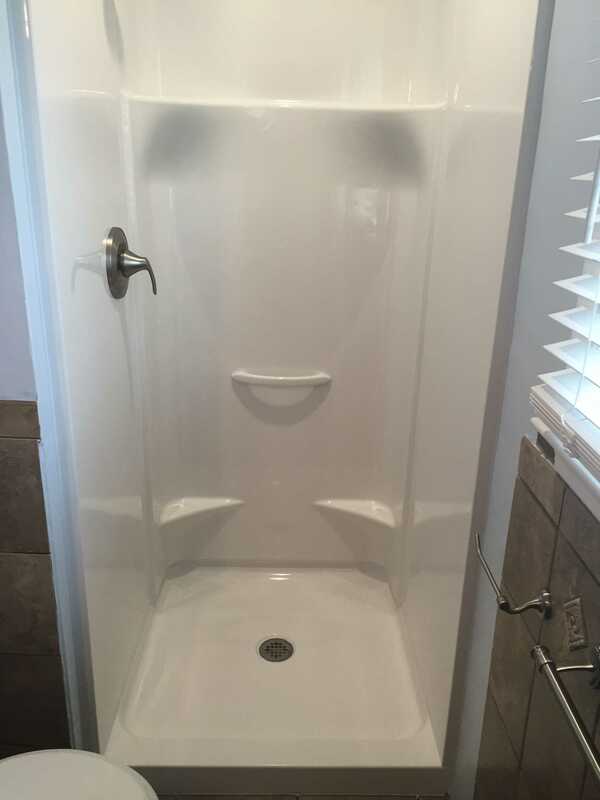 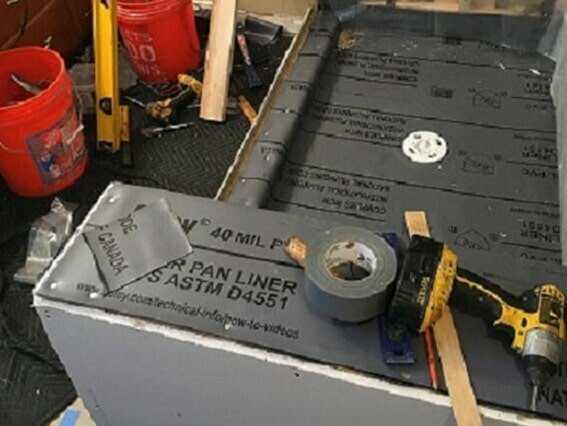 Customers love the durability and longevity of the fiberglass units we install and we have installed a lot of them! Every kitchen job and budget is different. 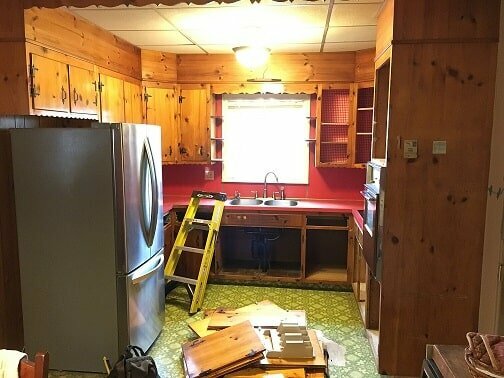 This customer wanted to update this severely outdated kitchen and give it some luster without breaking the bank. 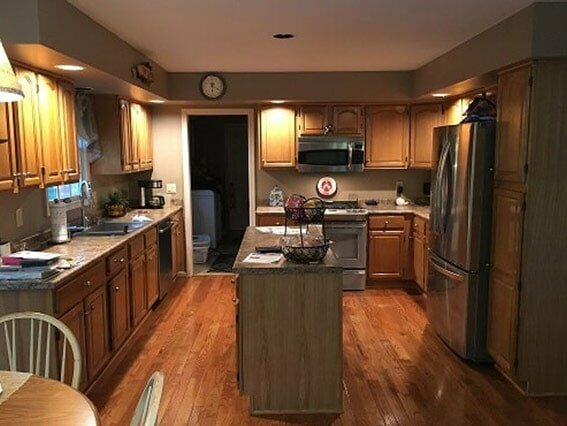 So along with some nice solid wood cabinets and some other renovations to the kitchen area this room has now become the visual centerpiece of the home. 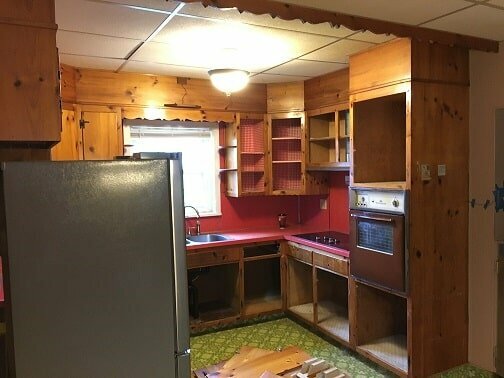 This kitchen was in need of a major make over. 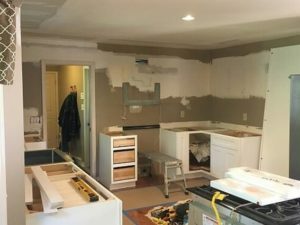 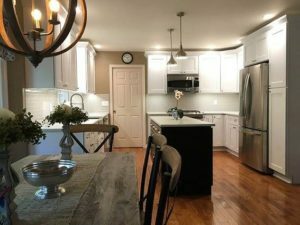 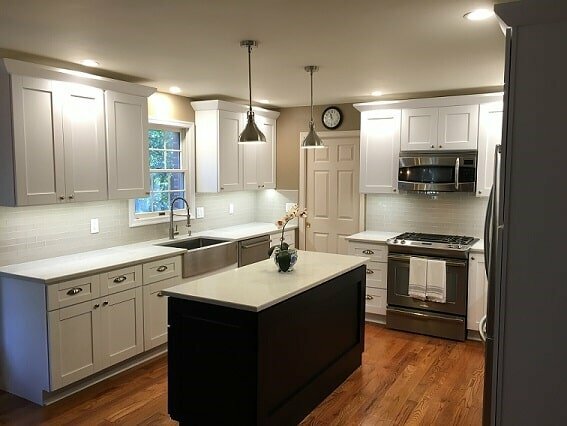 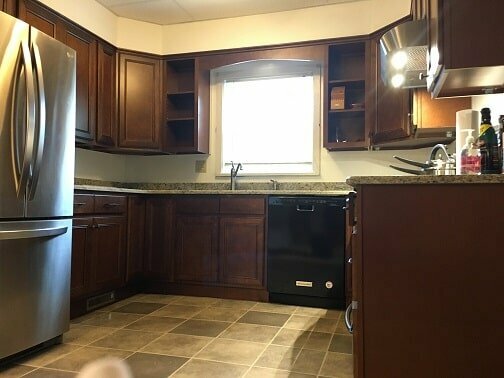 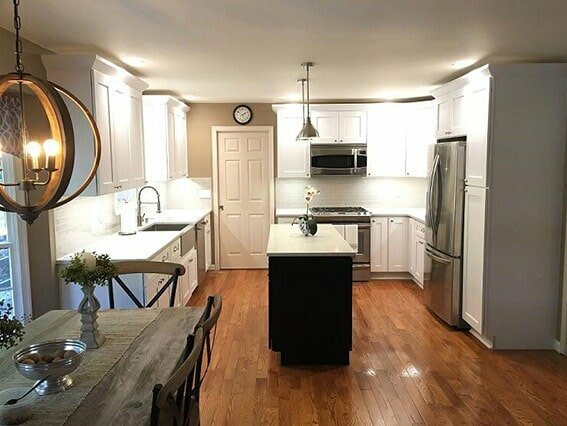 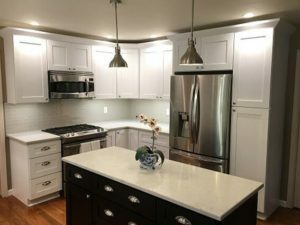 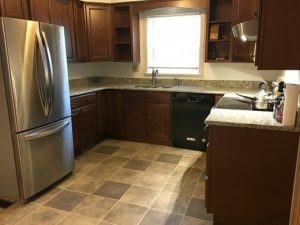 The entire kitchen was gutted and once we upgraded the electrical and plumbing, we installed all new flooring, cabinets and custom-built countertops.